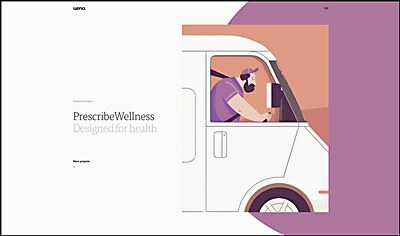 London-based digital design firm Bureau for Visual Affairs designed its new site to juxtapose the high degree of craft and finish of its work—shown in an almost factual, cold way—with the background video, which shows the warmer, more human side of the studio. 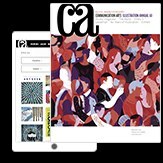 An irregular layout gives the site’s content an organic, flowing feel. 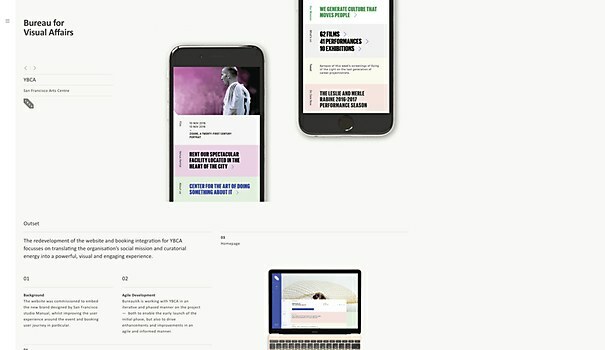 Bureau for Visual Affairs went through several iterations on its site’s Introduction section in order to attain that flowing feel, using rapid prototyping to quickly test and review which solutions offered the most natural-feeling user experience. The response to the site was overwhelmingly positive, with the site being featured on many design blogs and repositories and garnering visits from all over the world. 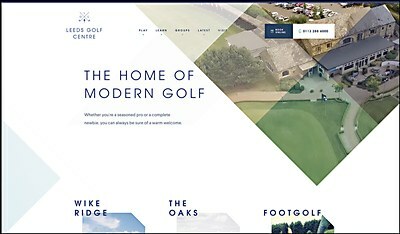 This site from Parallax positions the center as a destination for modern golf in Leeds, United Kingdom.